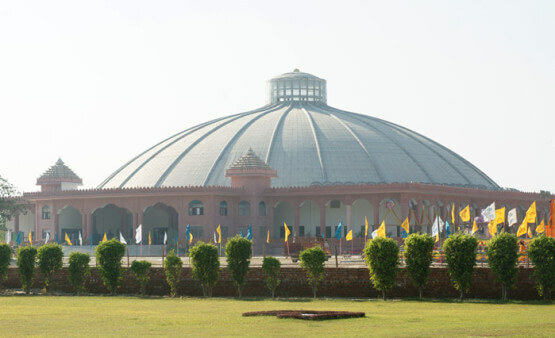 " Bhakti Dham is the birthplace of Jagadguru Shri Kripalu Ji Maharaj. It is situated in a small village called Mangarh which is nestled amidst the lush green farmlands of Pratapgarh district between Ayodhya and Prayag (Allahabad), Uttar Pradesh, India. " In order to benefit those souls desiring God’s love, Jagadguru Shri Kripalu Ji Maharaj founded an Ashram in Mangarh in 1966 . This once unknown and quiet village has been attracting faithful souls ever since.Over the years, the ashram has steadily expanded to accommodate thousands of devotees who come to experience the extraordinary devotional atmosphere. 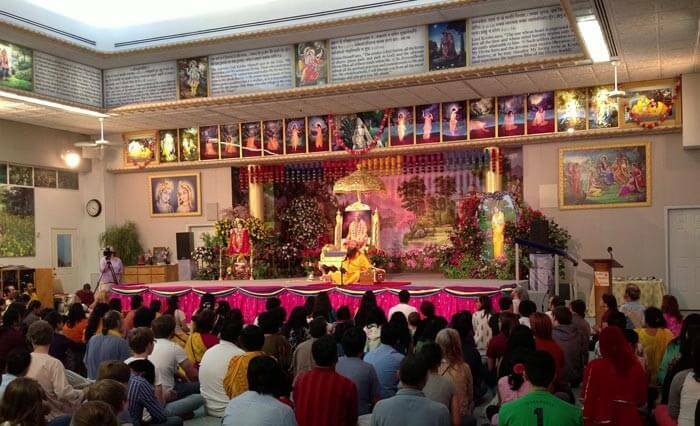 To cater for the growing devotional enthusiasm, the original satsang hall was replaced by a larger hall. That growth has continued and now an even larger hall has been constructed, called “Bhakti Bhawan”, for the unprecedented numbers of devotees who come to Mangarh Dham. 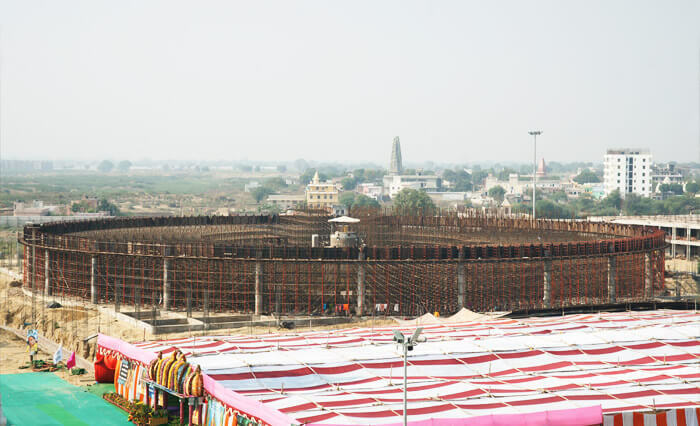 It is used for satsang programs and celebrations of functions and festivals. 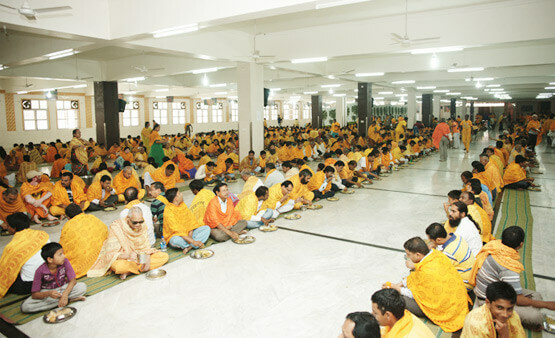 Three annual sadhana programs are organised in Bhakti Dham. 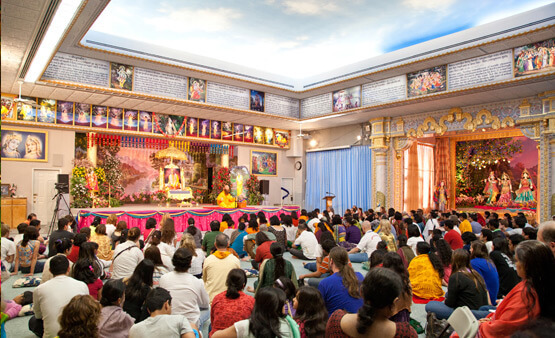 Thousands of followers from all over the world gather at Bhakti Dham to attend these sadhana programs where they get to practice meditation while singing bhajans and keertans composed by Jagadguru Shri Kripalu Ji Maharaj, gain spiritual knowledge from discourses of Shri Maharaj Ji and His preachers and celebrate Hindu festivals. This spring sadhana program starts two weeks before Holi and culminates in the joyous celebration of Holi. This week-long summer sadhana program takes place around Guru Poornima and culminates in the celebration of Guru Poornima. This five-week long sadhana program takes place during October- November. It starts on the day of Dussehra. Festivals such as Dussehra, Sharad Poornima, Diwali, Govardhan Pooja and Bhaiya Dooj are celebrated during this sadhana program. 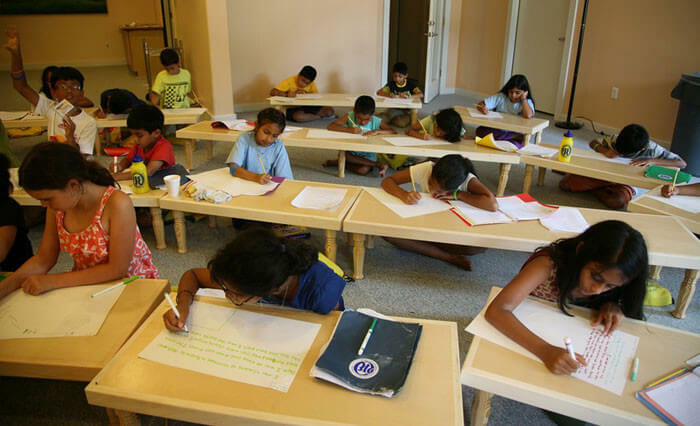 Opened in 2003, Jagadguru Kripalu Chikitsalaya at Bhakti Dham is bringing health, happiness and hope to the local impoverished population. This fully charitable hospital offers various medical services ranging from Allopathic, Ayurvedic, Naturopathy, Physiotherapy and Homoeopathy, which are all provided 100% free of cost to all patients, including free medications available from a fully-stocked onsite pharmacy. The 75-bedded hospital houses modern equipments and technologies and 600-700 patients are treated daily by doctors, specialists and highly trained staff. In addition, various health awareness and free medical camps – eye camps, blood donation camps, etc, are also frequently held at JKC – Mangarh.
" During the divine descension of Lord Krishna and Radha Rani, about 5,000 years ago, Vrindavan was one of the main places where They performed various pastimes. It was here on Vrindavan that Maharas, described in the Tenth Canto of the Bhagwatam, occurred in the full moon night of Sharat Purnima. " Vrindavan is situated on the southern bank of the holy Yamuna River in Braj, Mathura district, Uttar Pradesh. Today it is one of the most important pilgrimage places in India for devotees of Radha Krishna. 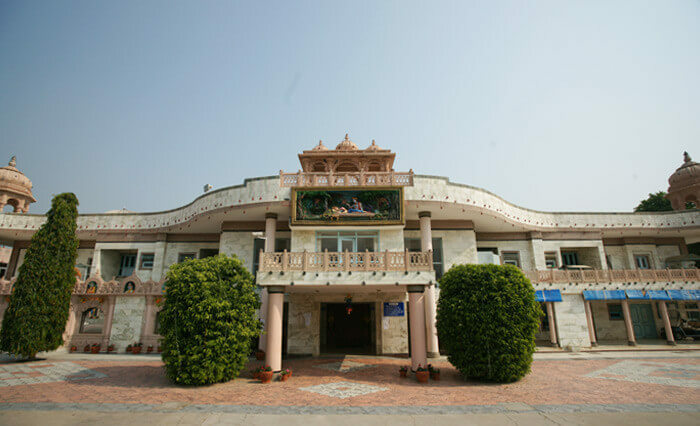 The Satsang Bhavan in Shyama Shyam Dham was inaugurated by Jagadguru Shri Kripalu Ji Maharaj in 1993 . 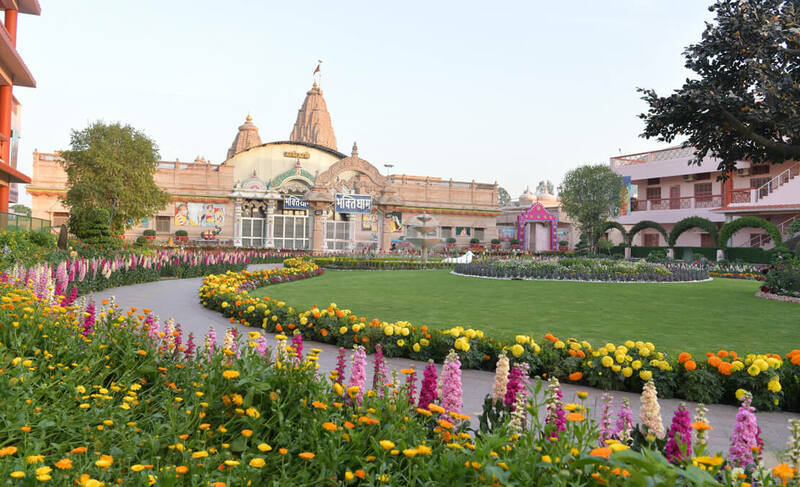 JKP Shyama Shyam Dham is also the home to Prem Mandir and Jagadguru Kripalu Chikitsalaya, a 100% free charitable hospital run by JKP. This monument of God’s love, Prem Mandir, is an elaborately carved, white marble wonder. 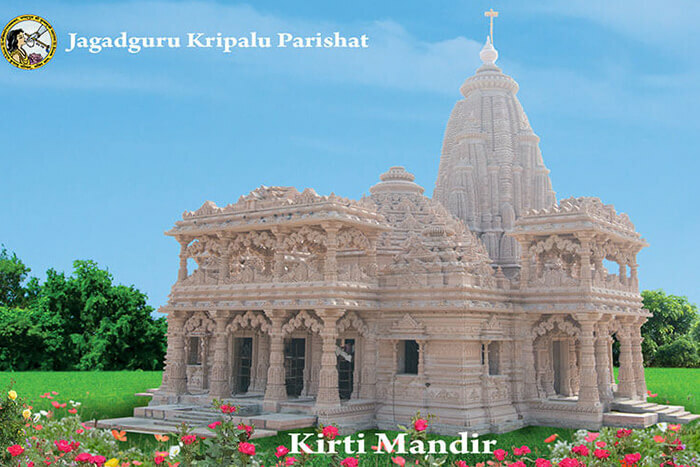 Each stone of the temple has been hand carved by the temple artisans, who worked on this project since its stone laying foundation on 14th January 2001. Its intricate beauty is enhanced by 80 panels that encircle the temple depicting scenes of Radha Krishna leelas as described in the Bhagwatam. 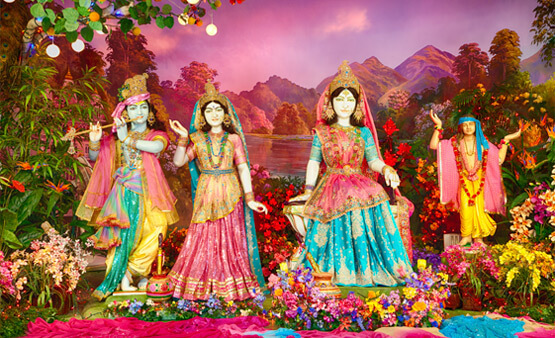 Surrounded by beautiful gardens and fountains, the temple complex has life-size depictions of four leels of Shri Krishna – Jhulan leela, Govardhan leela, Raas leela and Kaliya Naag leela. 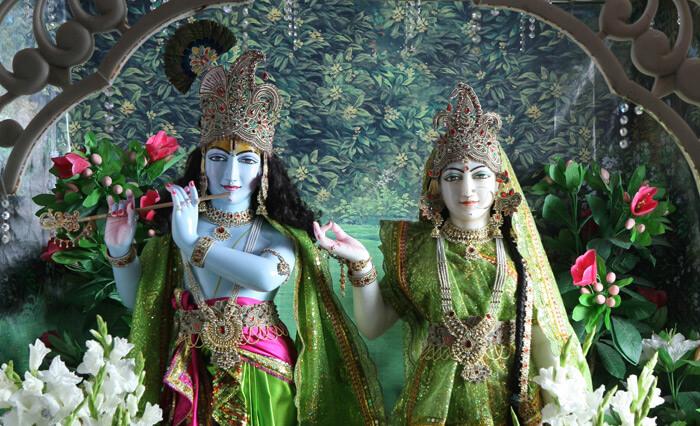 Two main shrines depict Radha Krishna & Sita Ram; Radha Krishna on the first level and Sita Ram on the second level. 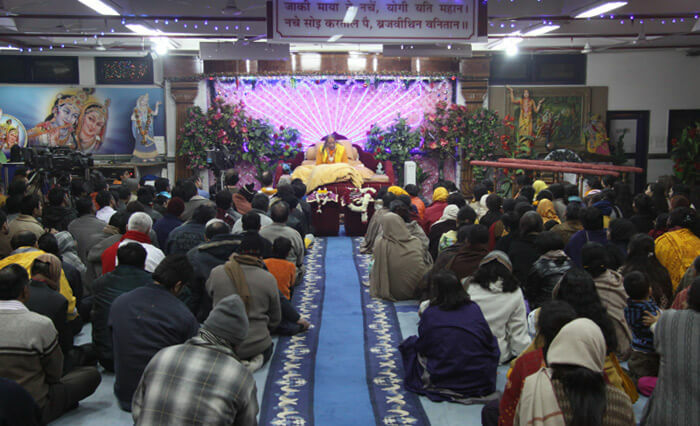 JKP Shyama Shyam Dham Vrindavan currently houses a large granite sadhana hall, which was completed in 1993 and has many times overflowed its capacity during Shri Maharaj Ji’s visits, including the thrilling all-night chanting during the Janmashtmi celebrations. To cater for the growing number of devotees, construction of a massive dome shaped Prem Bhawan has been completed and is opened to the public on January 2018. 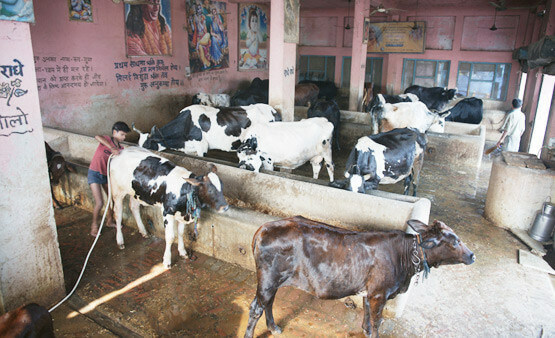 The once small village of Vrindavan has experienced rapid growth over the past 25 years. 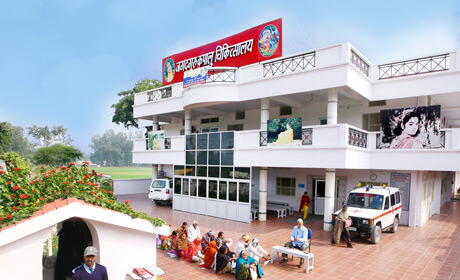 Because existing medical facilities are unable to meet the current demands, and to fill a desperate need for health care for the residents of Braj, JKP inaugurated a new hospital in Vrindavan on September 18, 2015. This hospital is the largest of the three JKP Hospitals. The two-storey structure includes advanced diagnostic equipment, a fully modern pathology laboratory and an on-site dispensary, as well as treatment rooms, operating theatres and recovery wards. As with the other JKP Hospitals, the staff consists of full-time volunteers, and all the medical services provided, including prescription medicine, are completely free of charge.
" Barsana is the place of descension, where Shri Radha Rani appeared in Her absolute Divine beauty about 5,000 years ago. It is a sacred place of pilgrimage for devotees of both Radha and Krishna. The village surrounds a small hill where the main Temple of Radha Rani, Shriji Mandir, is situated. It is in the same location where Radha Rani’s palace was located 5,000 years ago. " 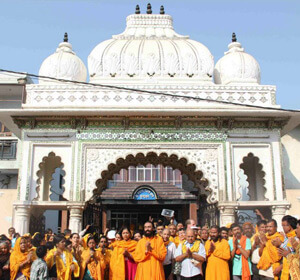 In this holy land of Barsana, with the grace of Jagadguru Shri Kripalu Ji Maharaj, Rangeeli Mahal was founded in 1996 . 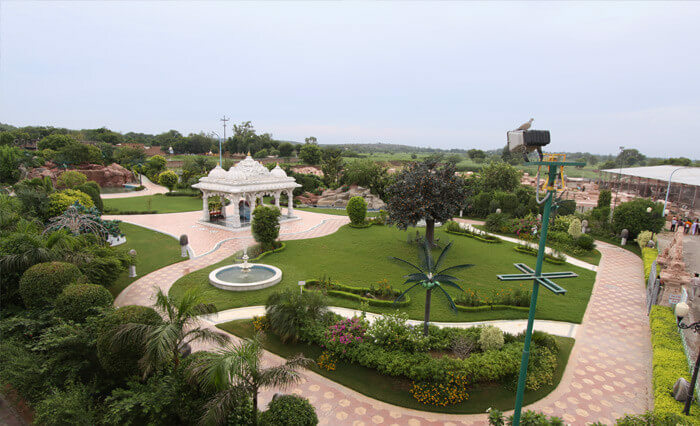 The stunning grounds have beautifully landscaped gardens, waterfalls and depictions of Radha Krisha leelas, amongst other attractions.JKP Rangeeli Mahal is also home to Kirti Mandir and Jagadguru Kripalu Chikitsalaya – a 100% free charitable hospital run by JKP. Presently under construction, this temple is unique because it is the only temple in the world that will depict Radha Rani in Her childhood form, cradled in the arms of Mother Kirti. 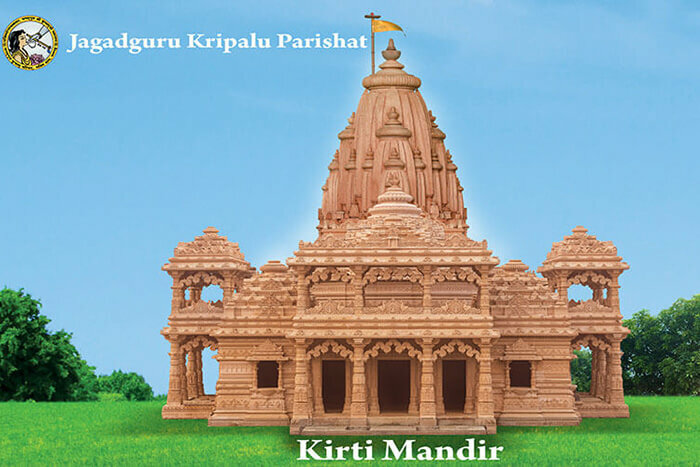 The amazing temple will also feature a life-size deity of Radha Rani, the only one of its kind in Braj.The sandstone temple is being hand carved on site by the large number of temple artisans living at the ashram. The temple will also feature white marble carvings and black granite columns. 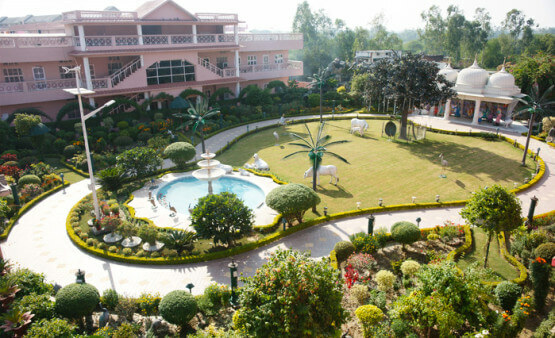 The uniquely designed large Satsang Bhawan was built in the year 2000 . 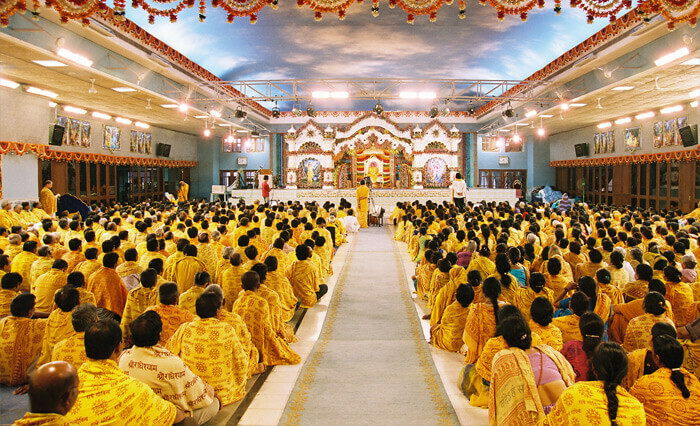 This satsang hall provides a devotional atmosphere for devotees who visit the ashram every year from all over India. 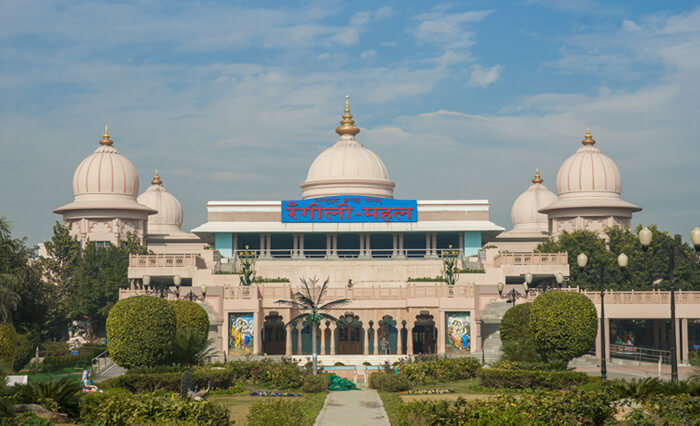 JKP Rangeeli Mahal is filled with Shri Maharaj Ji’s memories, satsang, devotional chanting and discourses throughout the year. 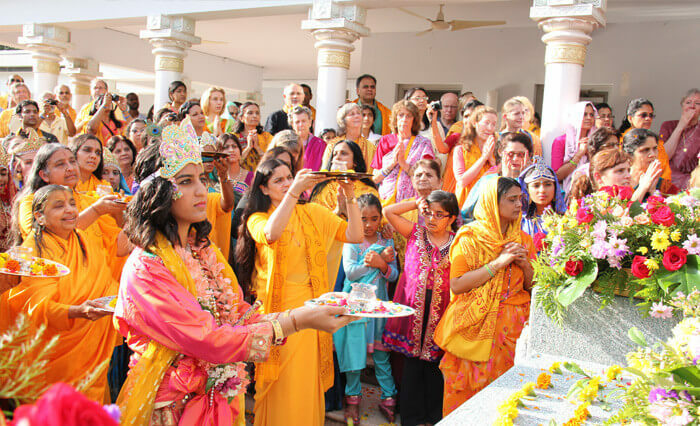 Thousands of devotees flood the ashram during the joyous celebration and all-night chanting on Radhashtami (the appearance day of Radha Rani). The village of Barsana is located in a spiritually rich, but materially poor district of Braj. 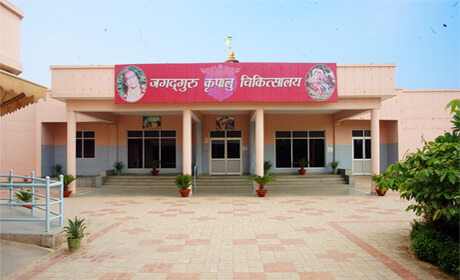 JKP opened a 100% free hospital in 2007 to fill the critical health care needs of this rural population. Since its inception, the hospital has continually expanded. 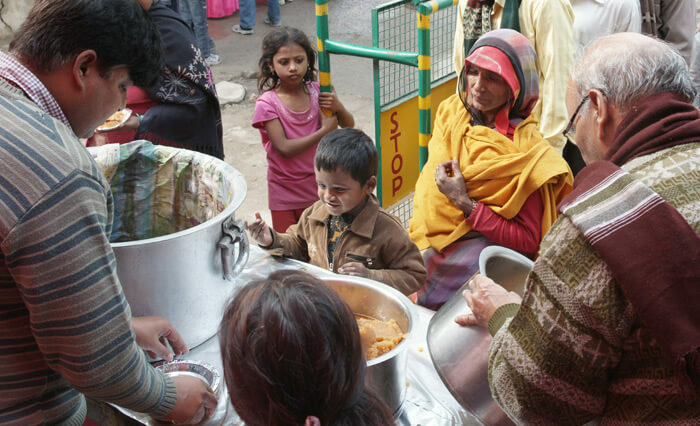 Hundreds of patients come each morning and await treatment for the diseases and afflictions they are suffering from. There is a full-service Eye Unit where eye surgeries are performed every day. 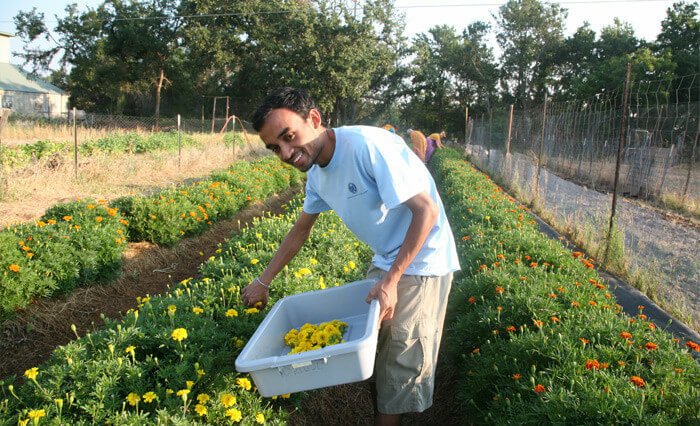 A naturopathy and yoga wing is also there which serves hundreds of patients a day. All services along with medications are provided completely free of charge, regardless of the patient’s ability to pay. The highly qualified volunteer doctors, nurses and medical staff are extremely dedicated to providing quality care to those who come to them. Visiting doctors and specialists from nearby cities in India and from overseas also volunteer their expertise during their extended visits to the ashram.
" Golok Dham is centrally located in Delhi and has created an enhanced devotional atmosphere which provides an escape for people from their busy urban lifestyles, as well as those devotees who have travelled long distance to visit our other ashrams and are in transit in Delhi. " The beautiful deities of Radha Krishna in the temple at Golok Dham are sure to find its way into the hearts of each and every devotee. Social activities, such as distribution of free meals, etc are also organised at Golok Dham on a regular basis.
" Designed as a representation of the holy land of Braj in India where Shri Radha Rani and Shri Krishna appeared about 5,000 years ago, all the important holy places of Braj like Govardhan, Radha Kund, Prem Sarovar, Shyam Kuti and Mor Kuti are represented in Radha Madhav Dham, where the natural stream, named Kalindi, represents the Yamuna river of Vrindavan. " 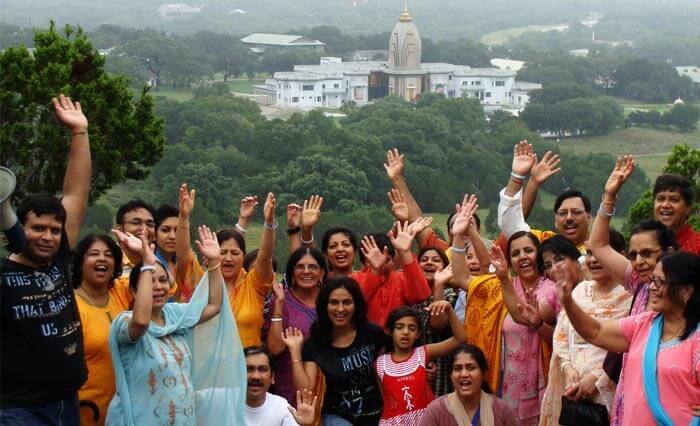 Radha Madhav Dham is the largest Hindu temple and ashram complex in the United States. 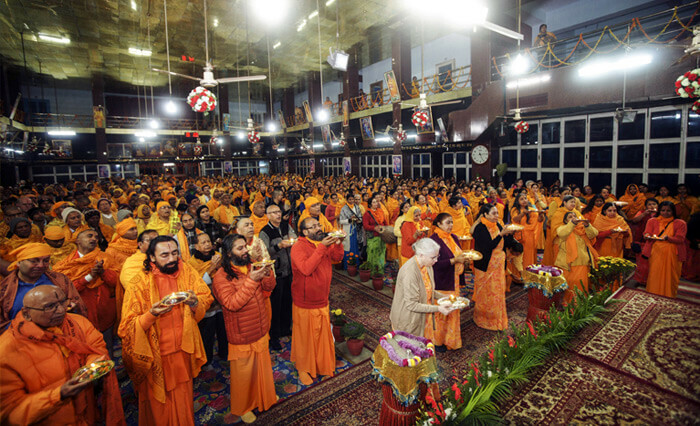 With the Gracious blessing of Shri Jagadguru Kripalu Ji Maharaj, Radha Madhav Dham was established as the main ashram of Jagadguru Kripalu Parishat in the West. The rolling land, blanketed by wildflowers in the spring, and beautified by the meandering stream Kalindi, rises to the highest point in Hays County at the top of Barsana Hill. The temple and ashram buildings are surrounded by charming gardens, walking paths, fountains and ponds. 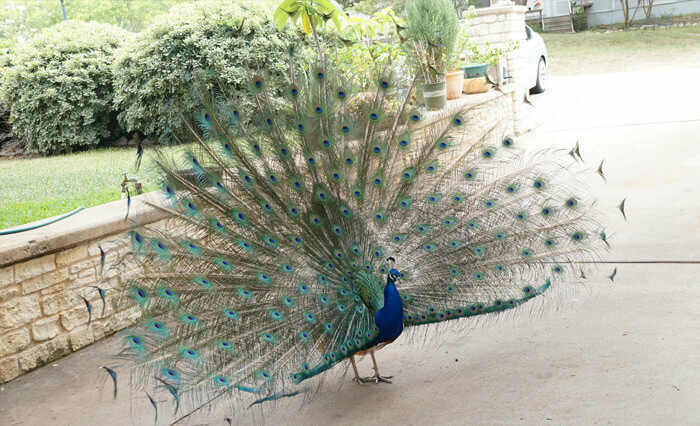 The many peacocks add a flourish of iridescent color to the surroundings, and their calls echo across the fields as they announce themselves to all passers-by. The delightful landscape lends itself to leisurely walks and meditation in its serene holy places. The centerpiece of Radha Madhav Dham is Shri Raseshwari Radha Rani Temple. 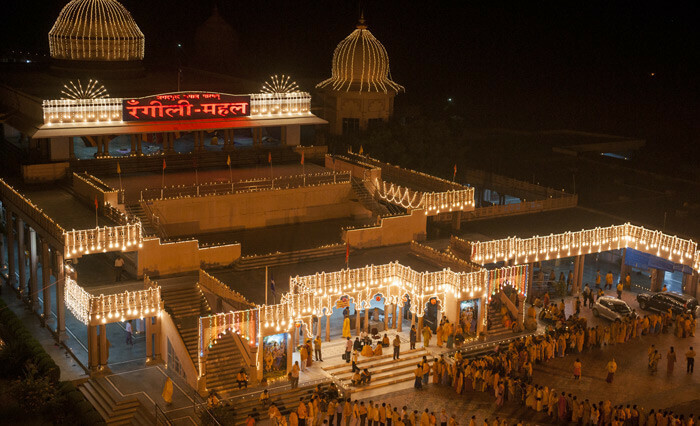 This temple, with its magnificent architecture and exquisitely designed shrine with elegantly decorated Deities of Radha and Krishna, is the only temple in the world that represents the true nikunj darshan of Radha Krishna as described in the Radhikopanishad and the writings of the Great Masters of Vrindavan. Sitting in such a temple, while chanting the names of Radha Krishna during satsang, gives a thrill of bhakti that must be experienced.